Trailer Arrives For THE HOLE IN THE GROUND! 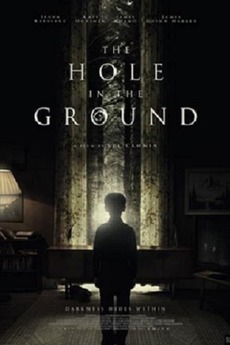 Just last month we found out that director Lee Cronin's upcoming debut film titled THE HOLE IN THE GROUND had it's distribution secured in multiple countries, including North America courtesy of Direc TV and A24, and also in the UK by Vertigo Releasing. The movie will be making it's world premiere later on this month and soon thereafter, will be released. Head on down below to have a look at the official trailer. THE HOLE IN THE GROUND stars Seána Kerslake, James Quinn Markey, James Cosmo, and Kati Outinen. "Sarah and her young son Chris move to a new home in the Irish countryside, next to a forest that hides an enormous sinkhole. One night, Chris vanishes, and when he reappears he seems unharmed and unchanged. But, as his behavior grows increasingly disturbing, Sarah begins to fear that the boy who has returned may not be her son at all." THE HOLE IN THE GROUND will make it's world premiere at the Sundance Film Festival later this month, and will then become available for viewing exclusively on DirecTV January 31st. A theatrical release will happen on March 1st.